We all need a little help sometimes. And with the ever-growing popularity of Pickleball, it should come as no surprise that Pickleball pros now have their own YouTube Pickleball Video channels. 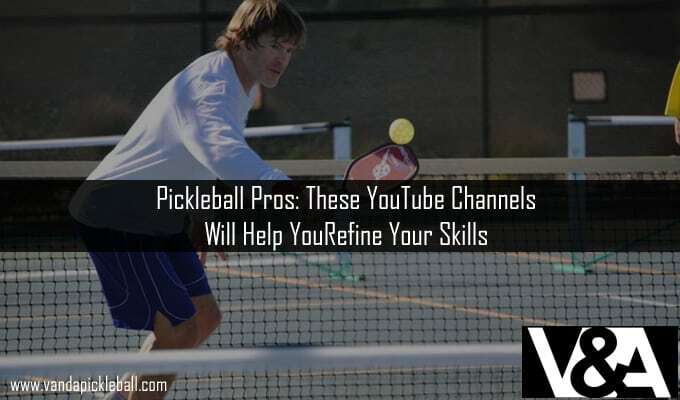 These Pickleball Video channels aim to help you improve your game and become a pro. We’ll be looking at 11 different Pickleball Youtube channels and how they will help your game, improve your skills and how they offer up unique contributions to the game. They are in no particular order. This is a fun-loving and diverse channel dedicated to providing the best relevant content related to Pickleball. This channel doesn’t supply how-to videos, but it is the best way to stay clued up about what’s happening in the world of Pickleball. The channel features 2 show series. The first is I ❤ Pickleball, which consists of interviews with pro Pickleballers and fun facts about the game. The second show is called Pickleball 411 which updates you on all the latest news from the Pickleball universe. This Pickleball Video channel also features clips from tournaments and competitions, as well as a series of tips to improve your games. The channel is upbeat and relevant, and is worth the watch. This Pickleball Video channel is from a company that aims to help train people to be better at Pickleball. They offer all sorts of advice. Their content is incredibly relevant and helpful with them giving you tips on how to play in any weather conditions and learn how to fine tune your game. They have videos for any Pickleball strategy you can think of including volleys and dinking. They also walk you through techniques and strategies that range from simple to advanced. But they manage to make it as fun as the game itself. You’ll find yourself drawn in by bubbly personalities, upbeat music and just the general love for Pickleball that is so evident in their demeanors. Their content isn’t all about business though, and you’ll find a bunch of hilariously relatable videos that will make you laugh out loud. They’re a must-see for anyone who belongs to the Pickleball community. One of their videos, named “Pickleball Stereotypes” will have you nodding your head, clutching your belly and cringing in shame as you realize which stereotype you are. We found their content helpful and would recommend this channel to people who want to take their game to the next level. When you start playing Pickleball competitively, you will eventually hear the name Deb Harrison. She has taught Pickleball for over 12 years now and has been voted Pickleball Athlete of the Decade. She has won over 20 medals in the Florida State Senior Games over a 12-year period, and remains one of the best players in the community. If you want anyone to teach you how to play, you want it to be Deb. 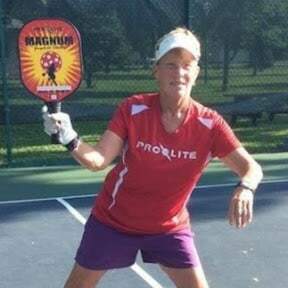 Her Pickleball video channel posts new tutorials every Monday, so you can be sure that she is keeping up with all the newest advancements in the game. This channel is worth subscribing to because of her experience alone. She is a tough teacher, but she gets results and helps you to improve your game to a level that you’ve never been at before. She regularly posts challenges and opportunities to get her as your trainer with her various workshops. Even if you can’t meet her personally, when you watch her videos it is as if she is training you from the comfort of your own home. Who knows, under her tutelage you might just win a few gold medals and tournaments yourself. This channel belongs to a man who follows all the USAPA rules, which is as everyone knows, the organization that is responsible for most tournaments and competitions, they also set the standard. This channel hasn’t been active in a while, but their videos are just as relevant today as they were back then. This is a useful Pickleball video channel to know if you want to look at Pickleball’s recent history. Not only do they cover some of the older games and tournaments, they also have a lot of tips for referees and players. It seems to have been a forgotten passion project of a player who is dedicated to the sport. As we mentioned earlier, this channel will not feature any new games or videos since it has been neglected for a while. That doesn’t mean that it doesn’t have any value. What is on the channel is worth the watch as you can see how the sport has evolved over the past few years. It highlights just how fast paced the sport is, and it might just be able to teach you a thing or two on how to improve your overall skill and strategy. 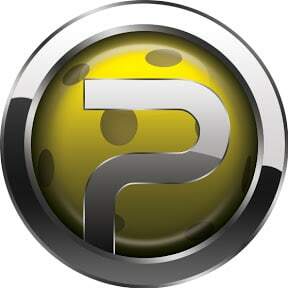 Poach PB offers private lessons or clinics for players who are serious about improving their game. They are a bunch of Pickleball players who are passionate about their sport and love to help others become better at the sport. This is evident in how eager they are to help others. They have a bunch of tutorials for those who are skeptical about their skills or who can’t afford to book private lessons. 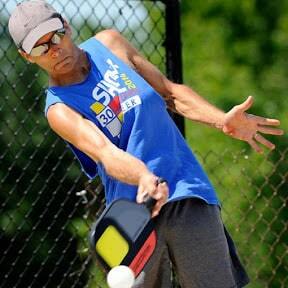 Aside from their regular tutorials, they also post fast-paced games between Pickleball professionals that will have you on the edge of your seat as you watch them play. This helps you to see how to incorporate their lessons into your own games, as well as show you what you will one day look like. 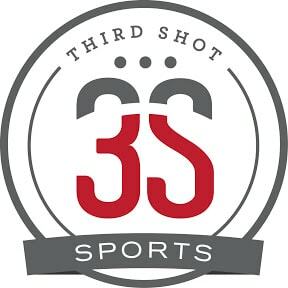 The channel is incredibly professional and focused on turning you into the best Pickleball player you can be. But they never sacrifice the fun of the game in favor of skill or competition. They remember what Pickleball is all about. Their training is professional and fast-paced, but they always maintain that good humor that makes Pickleball such a treasured sport. After watching the instructors in action, you might just be motivated to book yourself into one of their Pickleball clinics! While tutorials, how-to guides and tips are wonderful, they will not be able to completely prepare you for a truly competitive game. You need to practice your new-found skills and see them in action. 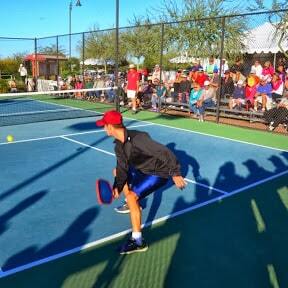 Rich Greenen’s channel is solely dedicated to competitive Pickleball games and tournaments. On this channel, you can watch professional players in action. He covers many different games and gives you a courtside seat to some of the most exciting games on the circuit. Singles, doubles, men and women, he has each category on his channel, so that you never miss a game. This is useful because you can learn from experienced Pickleball players and see which techniques and tactics they use. He posts almost religiously so you can be sure that you will always be getting the newest games and tournaments from the comfort of your own home. Watch how gold-medal players win a game and how they handle the opposition. You can cheer for your favorite players or watch objectively to see what you can learn. Every now and then you will be treated to some commentary, but the focus will always be on the games and players themselves. 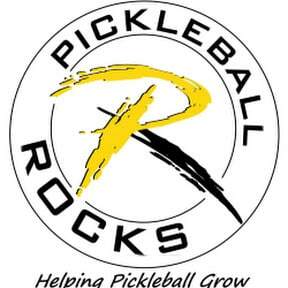 The purpose of this channel is to bring the highest level of Pickleball to the public. The videos feature all the tops players such as Timothy “Puppet Master” Nelson and many other renowned players. The channel features tournament matches, recreational matches and surprise bonus footage. Once again, this channel has been neglected quite a bit, with the most recent video posted about 2 years ago. This is a passion project gone stale, and the featured top players might have already been replaced by new stars. It is worth the trip down memory lane however, since some the tournaments are real nail-biters. These Pickleball stars are also worth imitation since most of them are real legends on the Pickleball circuit. It is also a great idea for a Pickleball video channel, so we hope to see a revival of this channel soon. 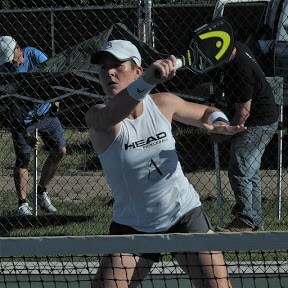 This is another big name on the Pickleball circuit, as Sarah was the 2015 National Open Doubles champion as well as the 2016 US Open Doubles and Mixed champion. She taught tennis professionally for about 10 years before eventually making the shift into Pickleball. This channel is great because she doesn’t just stick to the class tactics and techniques, she also teaches you some of her own award-winning strategies and techniques. She also made videos of her training routines so that you could adapt your own accordingly. There are quite a few nuggets of genuine wisdom on this channel, and you should take the time to go through this channel if you want to add a little edge to your game. It appears Sarah has taken a bit of a break from her channel though, and she hasn’t posted new content in a while. So, take your time when going through her videos, and hopefully she will start posting again soon! This channel was developed by self-proclaimed Pickleball fanatics. These guys have a serious love for the support and are one of the first Pickleball channels to be created. Their videos range from beginner’s videos to more advanced stuff. They have been around for a while proving that their commitment to the game is genuine. 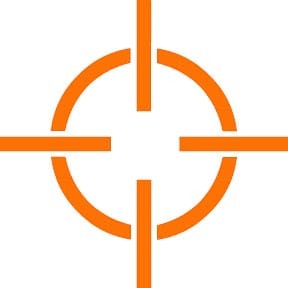 They regularly post content that is designed to help you improve your game. Their love for the game is infectious, and they mix their lessons with some off-beat humor. This channel has it all, from tutorials to tournament videos to latest news. You can watch all the greats in action, learn new skills and sit back and enjoy an interesting tournament. This channel is an absolute must for all Pickleball fanatics, and if you haven’t been there yet, we suggest you check it out! 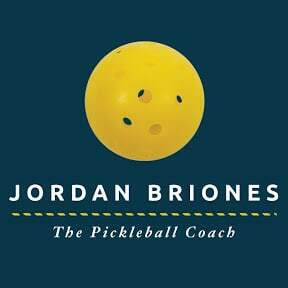 Jordan Briones is a 5.0 Pickleball player, and goes by the nickname “The Pickleball Coach”. He is a professional instructor and has been certified by the IPTPA. His channel is dedicated to helping people get better at playing and keep up to date on what is happening in the world. His channel also features personal stories, experiences, reviews and tutorials. He walks you through useful tactics that you can use on the court, and interviews fellow players to find out their Pickleball experiences. This channel is for devout Pickleballers, and aims to inspire players everywhere. 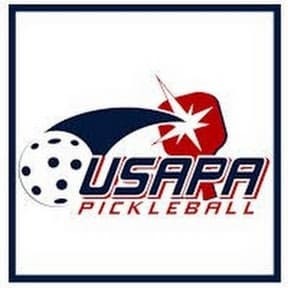 You can also expect some humor and a whole lot of fun mixed into the videos, because Pickleball isn’t just about business. You can watch him incorporate parenting into Pickleball as well as lighten up the learning experience. He seems to have taken a bit of a break from posting videos, but we are sure he will return soon enough. This guy is dedicated to Pickleball. He has his own blog, which keeps you up-to-date with all his Pickleball adventures. His channel is dedicated to helping you understand the rules, techniques and everything else you need to conquer the game. His content is well-structured and professional, so it feels like you are part of the learning experience. It is also easy to follow, so even newbies can benefit from his tutelage. We also love how involved he is in the Pickleball community. He has an easy-going personality that will make you feel at ease. 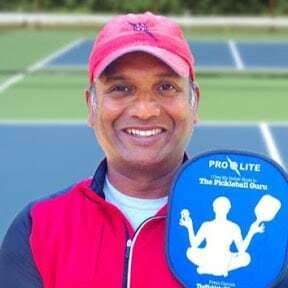 His videos are interactive, and you will get to know a lot of faces on the Pickleball circuit, so that when you start playing competitively, you will feel as though you’re already part of the community. These are some of the most popular or well-known Youtube Pickleball Video channels, but if we missed a few, be sure to let us know! We hope that these channels will help you to improve your skills, become part of our community, start playing competitively, or become one of the Pickleball superstars in no time!